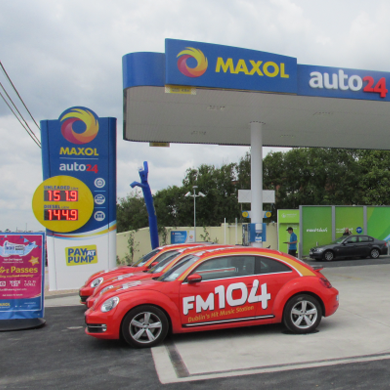 On Tuesday 24th June, 2014 Maxol opened its first auto24 service station in the Republic of Ireland. Located on the Dublin Road (Coast Road) in Sutton, Dublin 13, auto24 Sutton follows the same successful model which has been in operation at Maxol’s four auto24 stations in Northern Ireland; Saintfield Road, Carryduff; Bridge End, Belfast; Whitehouse, Newtownabbey; and Hazlebank, Whiteabbey. All five stations are 24 hour fully automated pay-at-the-pump service stations. As the stations are automated and without a shop, we introduced the Maxol auto24 brand to differentiate it from the usual Maxol station. The sites allow us to provide motorists with petrol and diesel at even more competitive prices.